Sommer Goodknecht is a channel marketing manager at Eaton Corporation. She is accomplished in facilitating cross-functional team collaboration, achieving team goals in addition to building and maintaining customer and channel partner relationships. Recognized as one of CRN's Women of the Channel in 2014, 2016 and 2017, Sommer drives the strategy with Eaton's IT Channel Marketing in the US. 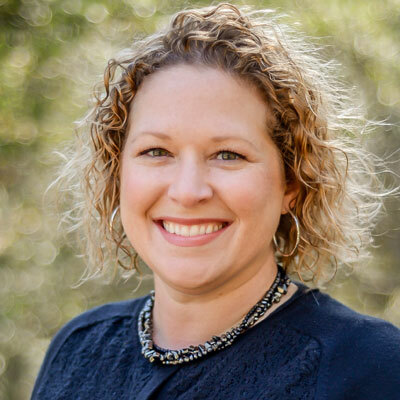 Sommer, who joined Eaton in 2008, spent the first eight years of her career in the Raleigh, NC area, holding various roles in customer support and global program management for the supply chain management industry. Before moving into channel marketing, Sommer managed a customer support team at Eaton for four years. She holds a bachelor's degree in English and Political Science from Florida State University. Our channel strategy in 2017 was focused around improving our marketing efforts, with specific focus on small solution providers (SSPs) and manage solution providers (MSPs). We made smart investments, hiring the necessary people to recruit and nurture these partners. Additionally, we've focused on creating additional revenue streams through a learning management system. In doing so, we've given our partners more education and training opportunities, equipping them with the tools they need to drive recurring revenue strategies with our software and services. Our biggest goal this year is to move partners up in our partner program so that they're taking full advantage of the different opportunities we have available to drive revenue and increase their margins. By elevating the partner program, users are able to get deal registration discounts and products that provide them with a competitive advantage. We've invested so much in getting our partners certified and trained, now we want to help them become top partners. We've placed special emphasis on offering unique digital marketing efforts for certified partners. This means giving them opportunities to generate additional leads. Recognized as 2017 Women of the Channel, also recognized on Power 100 list. Michelle Obama. Not only is she a role model for women, but she advocates for women's rights, poverty awareness and general health. In the last year of the Obama administration she solidified her role as one of the most notable First Ladies in history. Don't be afraid to speak up out of worry of how you will be perceived. The lack of confidence at that age often leads to fear of asking questions. You're not the only one who doesn't know the answer, don't just sit there in silence. Dealing with conflicting opinions and uncomfortable situations with ease. It's tough to balance what needs to get done for the greater good without hurting your likeability factor. The Lilac Girls - based on civilians in the Holocaust, the complexity of the parallel stories is seamlessly woven together as these inspiring women change history.